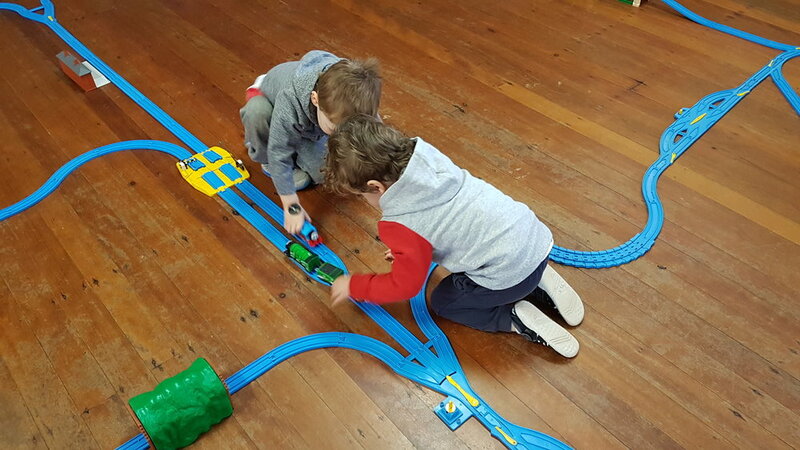 Buzz Train Play is set to be one of the best activities for kids in Sydney! 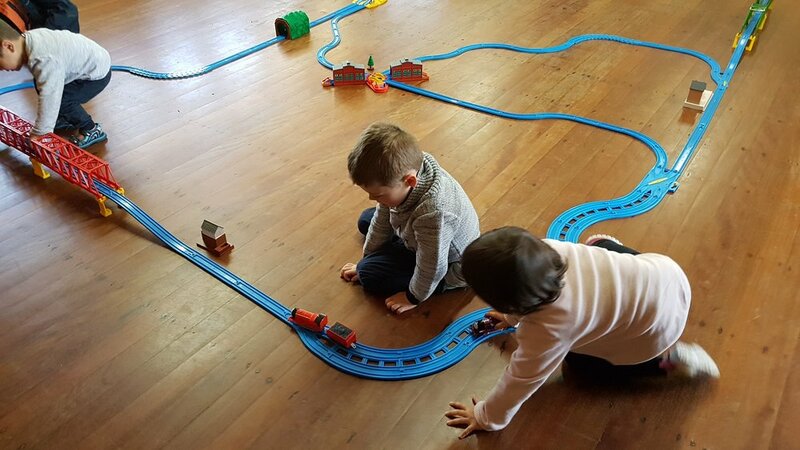 We create the largest and most exciting track that your child has ever seen and then provide them with a motorised train. They will watch in wonder as their train makes its way around metres of track, over bridges and through tunnels. The next event is on the 5th of May but we are also selling tickets for the 2nd of June! We keep session numbers small to ensure that all children have an enjoyable experience. To avoid disappointment book now! Our sessions run for one hour and up to eighteen children may attend each session. The children participating will generally be under the age of five and there will be mixed ages at all sessions. One facilitator will be present and will be on hand to help at all times. The trains are battery powered and have an on/off switch. 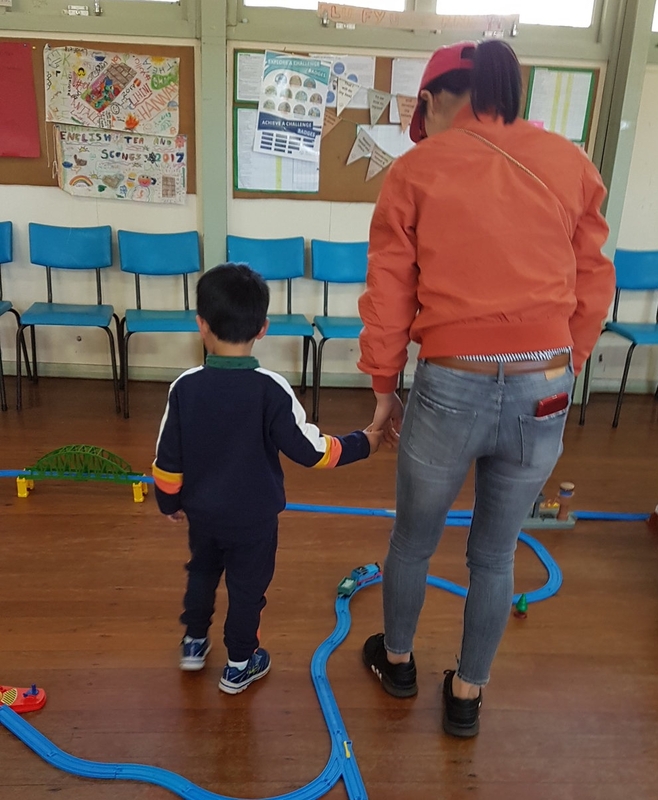 The children will be able to chose from a selection of trains and carriages and can choose one of each to play with at any one time (they will able able to swap as many times as they like). The track consists of switching points that can be changed, turntables, stations, bridges and tunnels. Please contact us directly to discuss your requirements.Prices depend on the event that you are booking and the number of hours that you require. Venue hire can also be arranged!